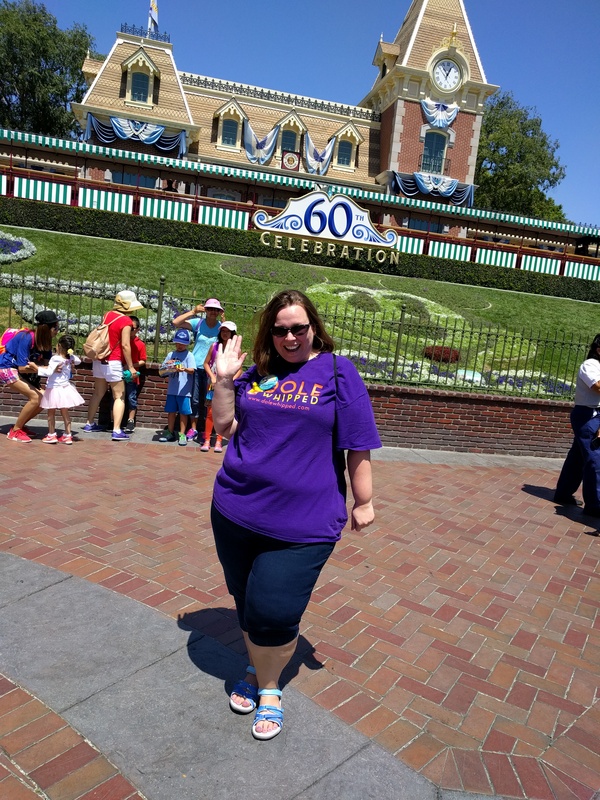 Last week, I had the opportunity to attend an Agent Education Program at Disneyland in California. I’d never been there before (in fact, I’d never been to California before), despite having been to Walt Disney World in Florida numerous times. While I knew things were similar between the two parks, I wasn’t prepared for what was different. If you’ve ever been to Walt Disney World in August, you know that just saying “it’s hot” is kind of an understatement. Not only is it hot, it’s extremely humid and that can make you quite uncomfortable. It also rains a lot in Florida in summer. Not so in California. The weather was absolutely perfect. Because there’s relatively low humidity in that part of the country, the breezes were cool and refreshing. It did get quite warm in the late parts of the day but overall the temperatures were great. It was sunny, not at all rainy, and generally perfect park weather. Disneyland still uses paper tickets and Fast Passes. I’m quite used to Magic Bands in Florida so it was a little jarring going back to using paper for everything. You have to make sure you hang onto your paper ticket at Disneyland at all times. If you lose it, you’re out of luck. 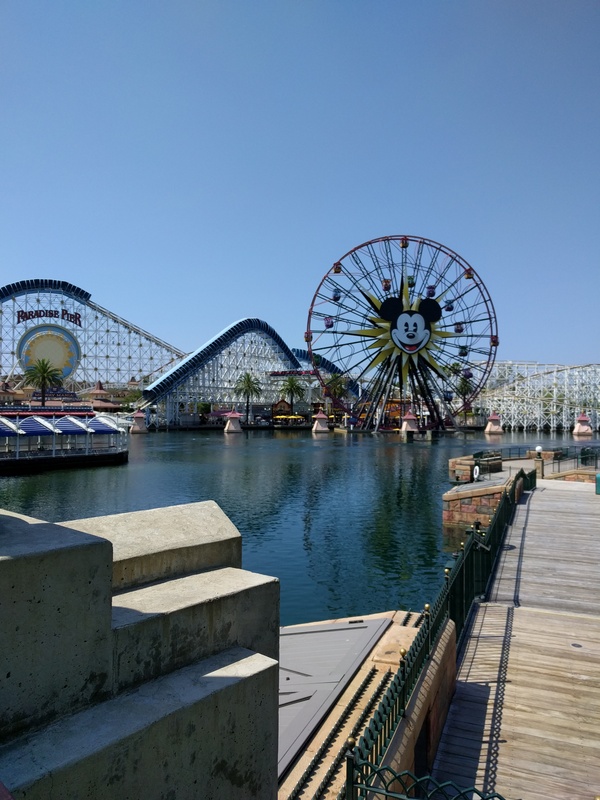 The absolute BEST thing about Disneyland and California Adventure parks are how condensed and close they are to each other. It’s amazing to walk around Disneyland Park and see how close and tightly packed with attractions it is. It’s so nice not to have to do quite as much walking as you would have to do at Walt Disney World. Plus, if you like to park hop, you can exit one park and be inside the other in less than 5 minutes. It’s amazing! With their Downtown Disney location being so close, it’s easy to leave a crowded park for lunch and head back in later. You definitely don’t have the insane commuting times like you do at Walt Disney World. It’s pretty awesome! One thing I do think Disneyland lacks over Walt Disney World is their onsite resort options. Disneyland has three onsite hotels, Disneyland Hotel, Grand Californian, and Paradise Pier. While all three of them are nice hotels, they are quite expensive compared to the offsite Good Neighbor hotels in the proximity. I wish Disneyland had a Value resort option, but they don’t. Stay tuned for more blog posts soon for my review of all three Disneyland resort hotels! Since I was there for such a limited amount of time, I didn’t get to do all the attractions and see all the shows I wanted. 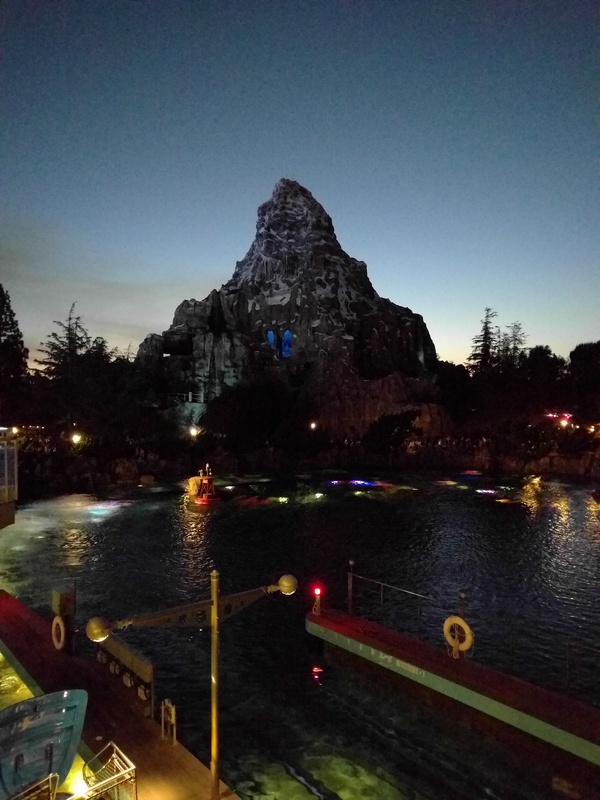 What I did see was fantastic and I love that Disneyland has some of the heritage options that Walt Disney World no longer has, like the trolley rides down Main Street, and 20,000 Leagues Under The Sea (now rebranded as Finding Nemo, but still the same general concept). The other really cool thing that Disneyland does well is spontaneous character interaction. I was sitting in the Corner Cafe having a snack when Alice and the Mad Hatter walk up (sans handlers, by the way!) and start playing musical chairs with all the kids in the restaurant. While that was happening, Genie from Aladdin is just strolling down Main Street like that was just a regular thing that happens. It was really cool and lent such a great vibe to the whole place. I think Disneyland has a great, fun, laid-back atmosphere that is definitely not the same as Walt Disney World. Since Disneyland is such a local’s park, I think there’s not the same need to keep up such a frantic pace, like you might see in Florida. The locals have been there so many times and come back whenever they want so they’re not in such a rush to make sure they see everything all at one time. 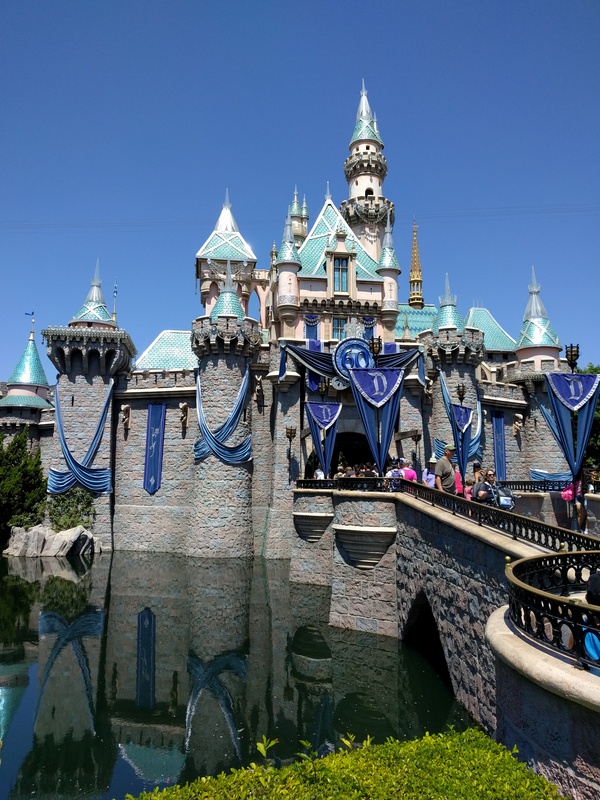 That’s not to say that Disneyland isn’t just as full of tourists as Walt Disney World, just that it doesn’t seem to be so do-or-die in California. Overall, I don’t think it’s really fair to compare Disneyland to Walt Disney World because they each stand alone. Yes, they have similarities, but they each have their own history and their own way of doing things. I greatly enjoyed my time at Disneyland and I truly can’t wait to go back with my family! 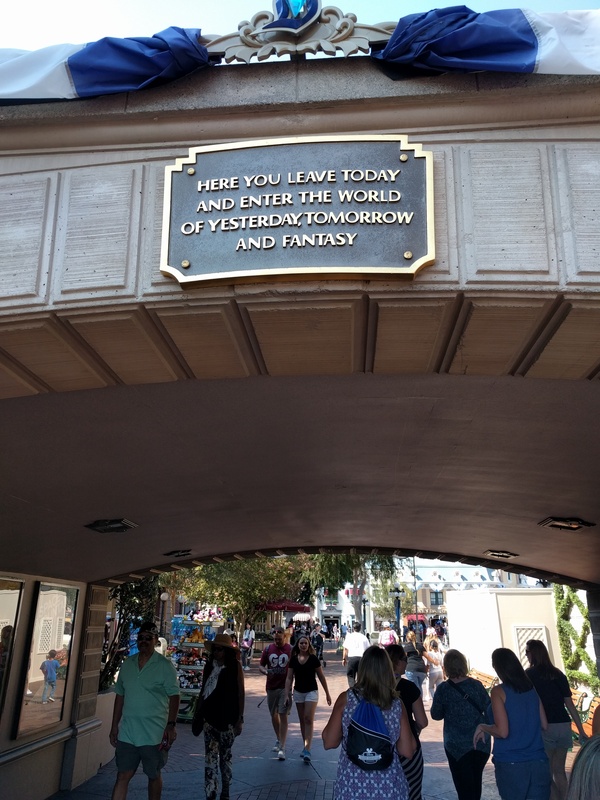 This entry was posted in Disneyland and tagged Attractions, characters, disney, Disneyland, Disneyland 60th Anniversary, planning, resorts by Shannon. Bookmark the permalink.